If you'd like to set up an Initial Consultation, please fill out the form and we'll be in touch! There is a lot to know and do before launching or expanding a food business. You've got the questions, we've got the answers; saving you time and unnecessary expense! The first step is to complete and submit the Contact Form below to set up an Initial Consultation. The Initial Consultation is a private, one-to-one meeting where you'll be provided with the information, resources and connections needed specific to your business , as well as details of the permitting/licensing process, review of the Kitchen Local application packet and a tour of our facility. 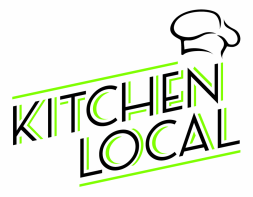 Whether or not you ultimately utilize Kitchen Local for your culinary base of operations, the information shared at this 1.5 hour meeting will be invaluable to you. There is a $75 fee due at the time of this first meeting.